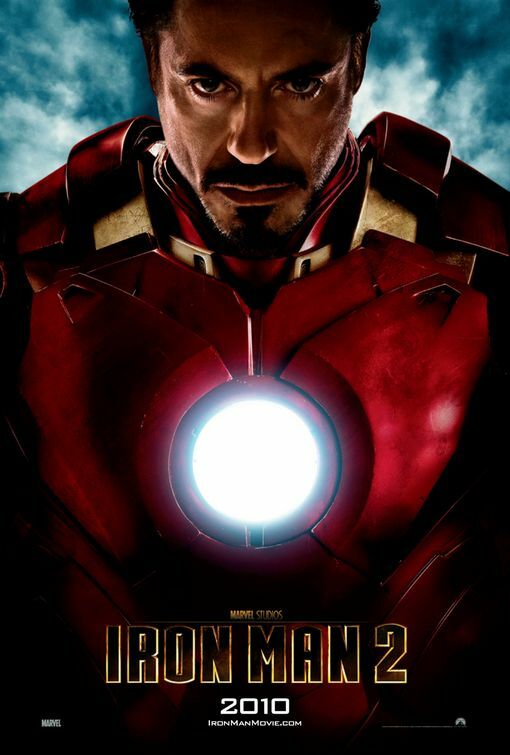 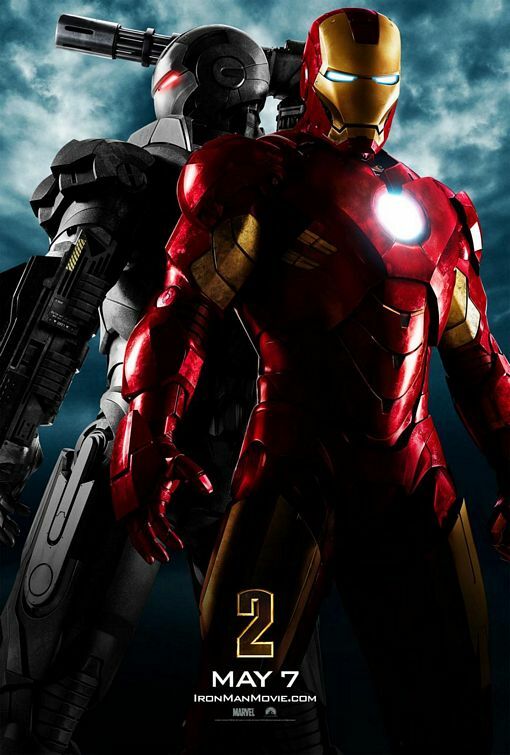 In 2010's Iron Man sequel, not only did Tony Stark face villains 'Whiplash' and 'Justin Hammer', but the armoured Avenger also had to deal with his own heritage and inner demons. 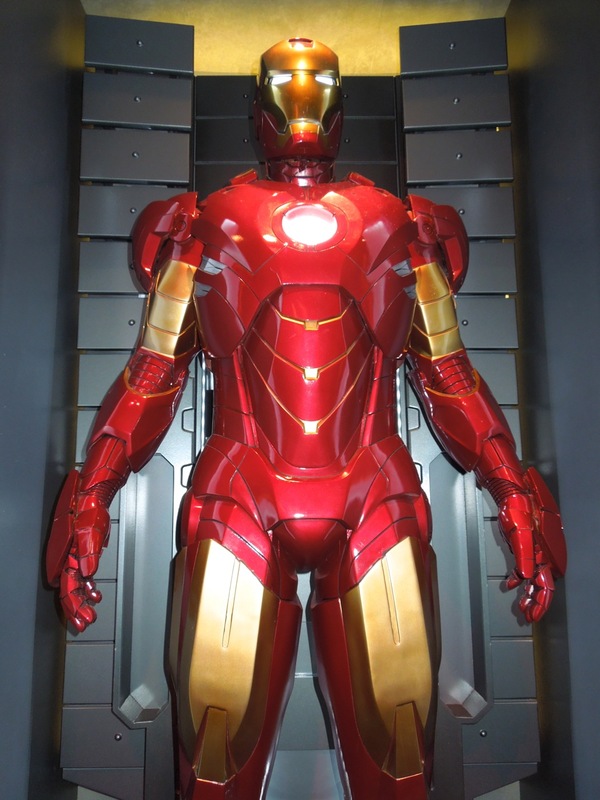 This Mark IV suit is the one he wore in the first half of the movie until he upgraded his arc reactor power source to the triangular version. 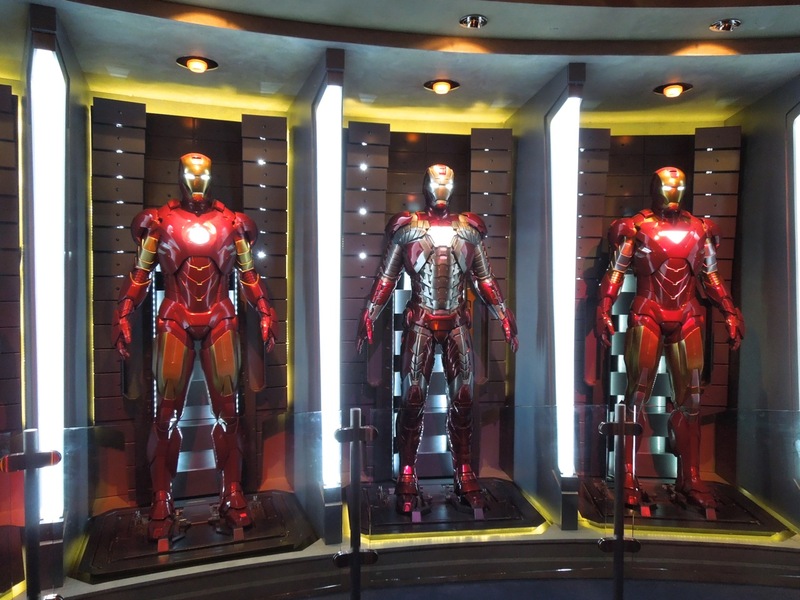 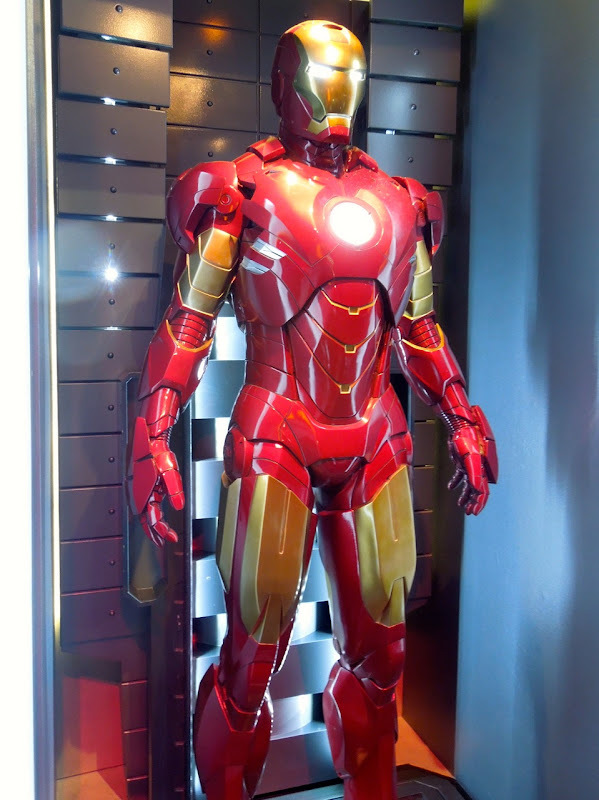 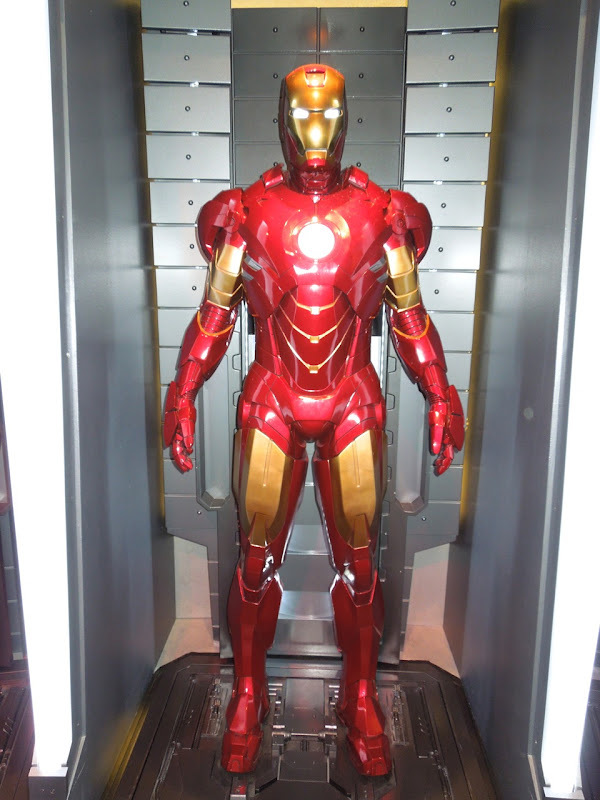 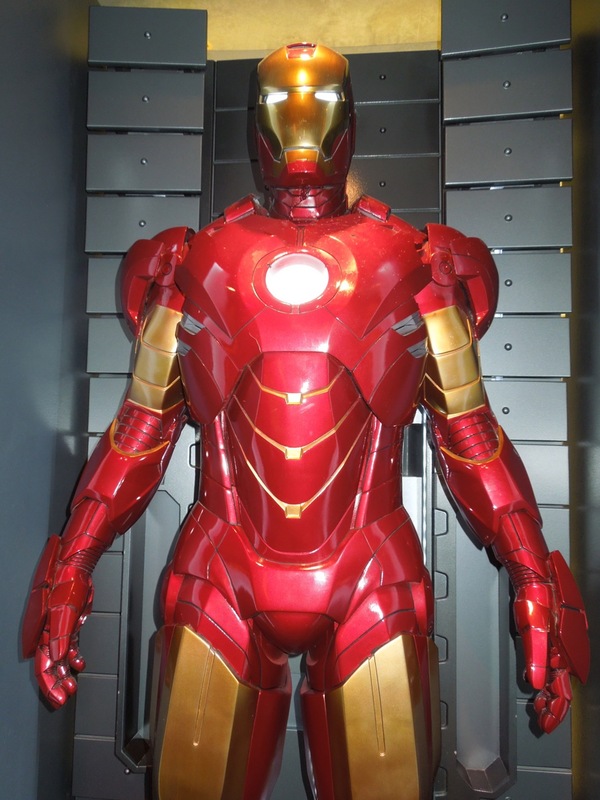 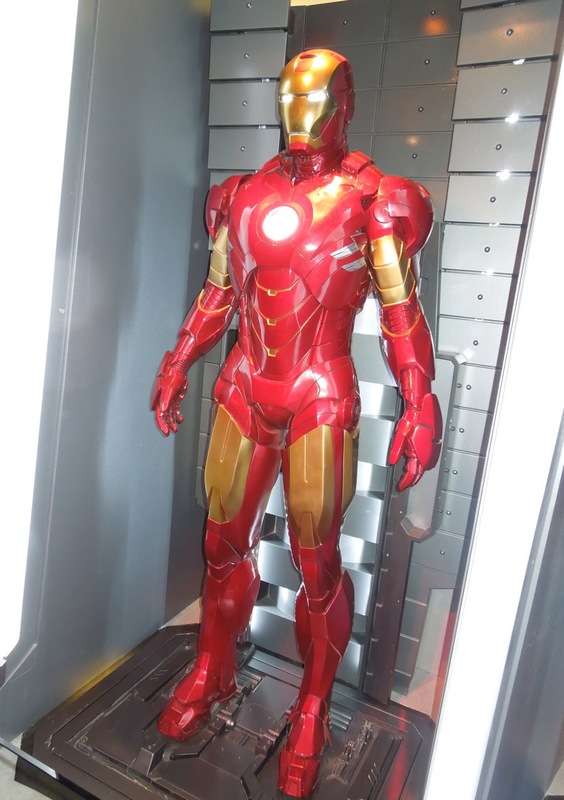 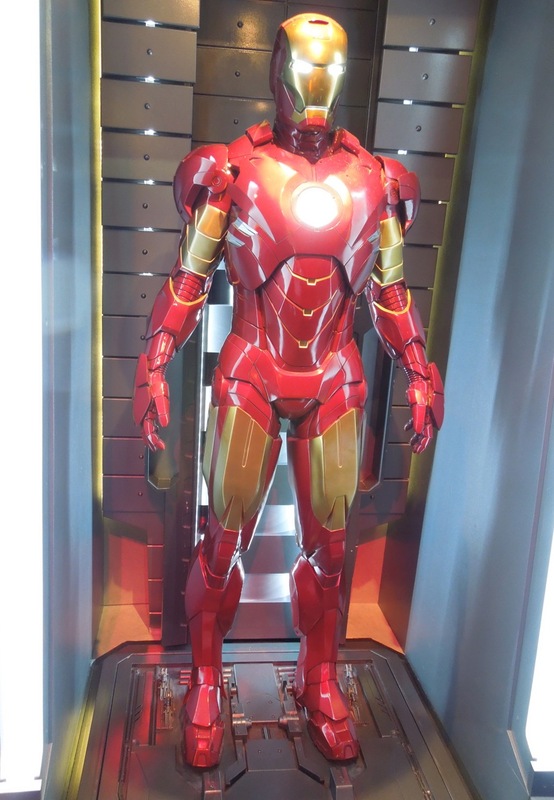 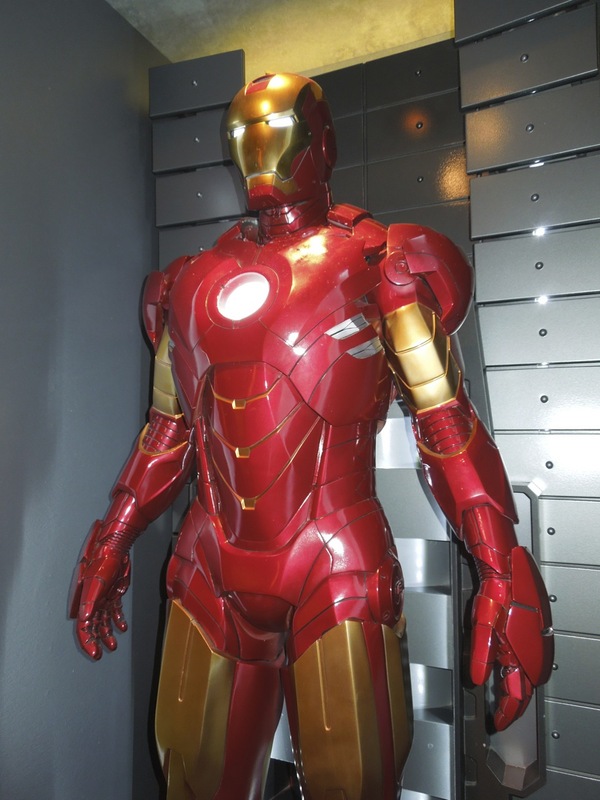 This Iron Man suit was photographed on April 17, 2013 as part of Tony Stark's Hall of Armour from his Malibu mansion in his third solo cinematic outing, that has been temporarily recreated at Disneyland to help promote Iron Man 3. 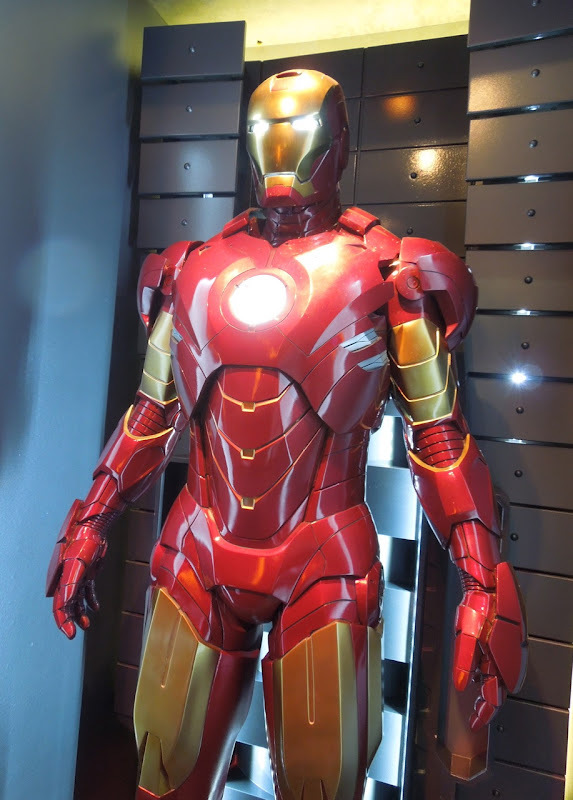 If you were a fan of the second movie, be sure to also check out Tony Stark's Formula 1 race car from Iron Man 2 on display. 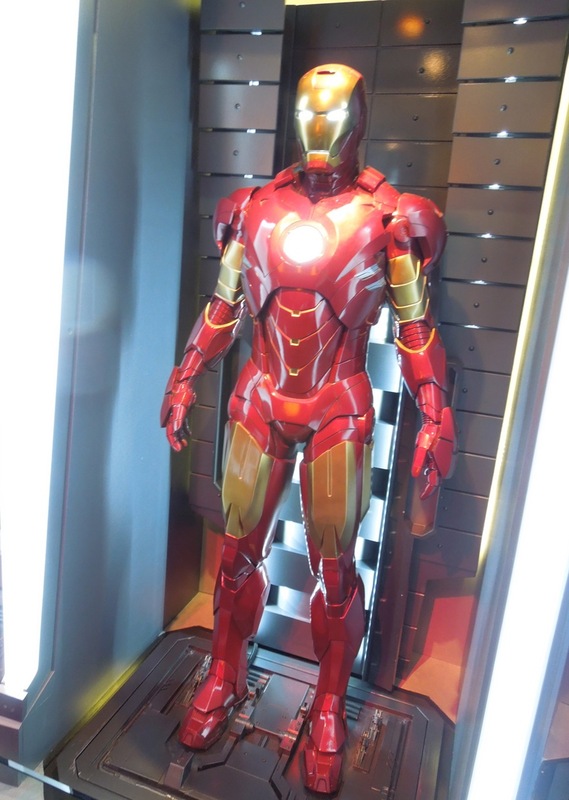 It looks like the third movie has opened to phenomenal box office overseas this weekend and I can't wait to see the movie when it opens in just under a week in the U.S. Until then be sure to enjoy a closer look at the latest Iron Man 3 Mark 42 suit that was also on display at Tomorrowland's Innoventions attraction.